The Society for Architectural Historians (SAH) invites CAA members to take a study tour of Mexico City. 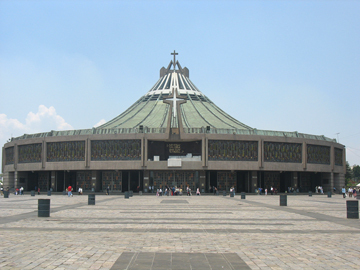 The tour’s focus will be modern and contemporary architecture, but because some knowledge of older styles, contemporary issues across the arts, and the growth of the city itself are critical to understanding Mexican modern architecture, the tour will include pre-twentieth-century buildings and works of art and urban planning that inform the development of Mexican architectural modernism in essential ways. The study program is designed to include famous, “must-see” sites in Mexico City as well as buildings that participants may not know and that they might find difficult to visit. Download a detailed brochure and register online to reserve a space on the tour. CAA members need not be members of SAH but will pay a $25 administration fee to attend, in addition to the tour-package cost. Space is limited, so please make your reservations today!